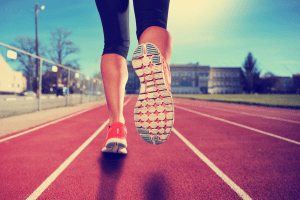 Which is better: Walking or Running? Running simply delivers health bene..
Home > Blog > News > Which is Better: Walking or Running? Global Running Day is June 1, 2016, and it is being celebrated across the world. In honor of #globalrunningday and the fact that Oregon is known for being a great state for runners, SK&H was curious to find out if running was better for you than walking. “Running improves your health more efficiently than walking does and has greater health benefits per time invested,” says Julia Belluz of Vox.com…”but even a small amount of running carries more injury risk than walking. And a lot of running (i.e., ultramarathon training) can well be harmful, while the same is never true for walking.” That said, there are incredible health benefits of going fast: even five to 10 minutes per day of jogging can reduce the risk of death from all causes. Running simply delivers health benefits more efficiently than walking does, but a good walking regimen can have similar benefits. So which type of exercise is best for you? Experts agree the best exercise routine is the one you’ll actually do. The answer to the running versus walking question will vary from person to person. If you prefer one over the other, stick with that.